If you're of the opinon that it would be impossible for BMW to build a modern-day E30, and foolish to wish for it, please, stop reading now. Yes. This is another one of those posts. I'll keep it short. 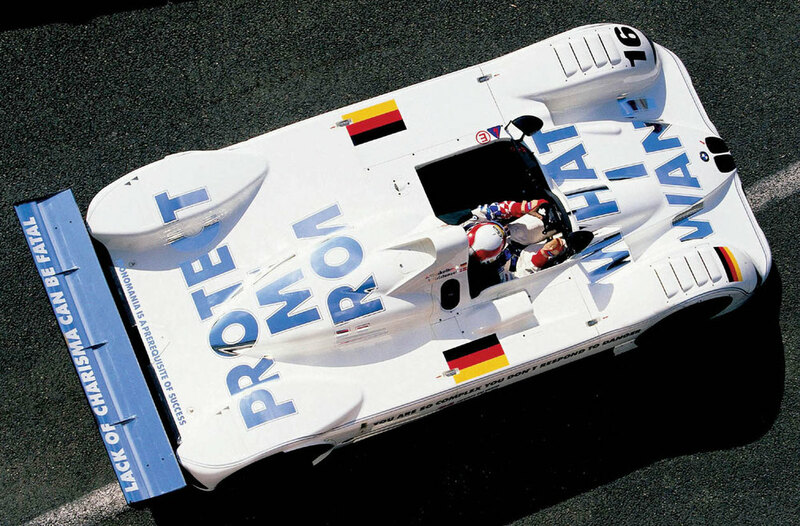 Let's revisit the BMW 1999 Art Car, the V12 LMR from carrying Jenny Holzer's message "PROTECT ME FROM WHAT I WANT". But let's look at it in the context of BMW's wants and desires, and how they've changed in the past 15 years. Protect me from a 4,150-pound M3. Protect me from overwrought designs that follow trends instead of make them. Protect me from character lines and creases that say nothing. Protect me from 'sDrive' model designations. Protect me from the X5, X6, X3, X1 and X4. Protect me from completely unnecessary front-wheel drive BMWs. If only BMW had listened to itself in 1999! But hey, there's hope. The recent one-off BMW Pininfarinia Gran Lusso is the best-looking car with a BMW roundel in a decade. Sure, there's still a lot of surfacing, but it's crisp and understated in a way that few modern cars are. And even fewer modern BMWs. It looks so 'right' that I can almost ignore that it's 37 feet long.